Foreign investment in Israel has nearly tripled since anti-Israel 'BDS' movement launched in 2005. The anti-Israel boycott movement has been the topic of headlines recently, with the Israeli Ambassador to the United Nations hosting a major "anti-BDS" conference at the UN just this Tuesday. 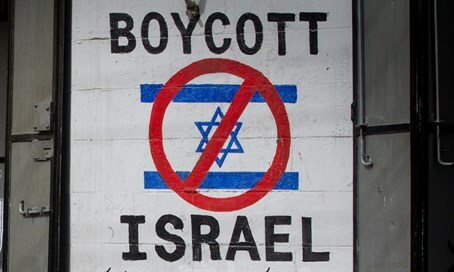 But according to an authoritative survey the BDS movement - promoting boycotts, divestment and sanctions against the Jewish state - has failed miserably in its stated aim of cutting Israel off from the world economically. In fact, a report by Bloomberg released Thursday revealed that since the BDS campaign was launched in 2005, foreign investment into Israel has nearly tripled, hitting an all-time high of $285.12 billion in 2015. And that investment is expected to grow this year, with Israel's economy predicted to grow by 2.8% in 2016 - compared to just 1.8% in the European Union and United States. What's more, even those boycotts specifically targeting companies who do business in Judea and Samaria have failed to have any discernible impact whatsoever. According to Bloomberg: "The stake of non-Israeli shareholders in nine such publicly-traded companies and banks has risen steadily over the past three years." It's not just foreign companies investing in Israel either. The same is true for Israeli companies targeted for doing business with Jews in Judea and Samaria - with the top nine such firms either showing significant increases in profits over the last three years, or remaining largely unchanged. And despite high-profile protests and even assaults on small Israeli restaurants and retailers in some countries Israeli businesses are trading more than ever abroad. "BlueStar Israel Global Index, a gauge of globally-listed Israeli companies, has doubled over the past decade, outperforming the 24 percent gain in the benchmark MSCI ACWI Index of emerging and developed world markets," Bloomberg noted in its report. The depreciating value of the shekel in recent years is one of the signs of increased investor confidence, the report further noted - yet despite that, Israeli startups raised a whopping $3.76 billion from non-Israeli investors in 2015 - a 10-year high. Despite the damning evidence, BDS leader and co-founder Omar Barghouti put on a brave face. Barghouti himself, however, has been widely derided for breaking his own "boycott" principles - for the past several years he has studied for a PhD at Israel's Tel Aviv University. He also claimed the campaign had been successful in causing an "indirect, palpable psychological impact on the mainstream Israeli psyche about the country becoming more ‘isolated’ from the world." That claim is of course up for debate - but the figures paint a very different story altogether.